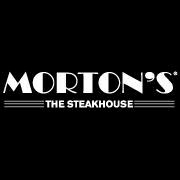 Morton’s serves only the finest quality foods, featuring USDA prime aged, Midwest grain-fed beef. The menu at Morton’s is consistent at all locations, offering generous portions of beef, including a 24-ounce Porterhouse, 20-ounce New York sirloin and a 14-ounce double-cut filet mignon. The menu is limited in scope to provide the greatest attention to quality, while offering choices for all taste preferences. Each restaurant has a fully stocked bar and an extensive award-winning premium wine list.